According to Jewish tradition, on Yom Kippur a messenger (usually a priest) took the sacrificial lamb from the Temple through the gate to the desert. The Red Heifer purification ceremony also involved taking the sacrifice through the eastern gate to the Mount of Olives. 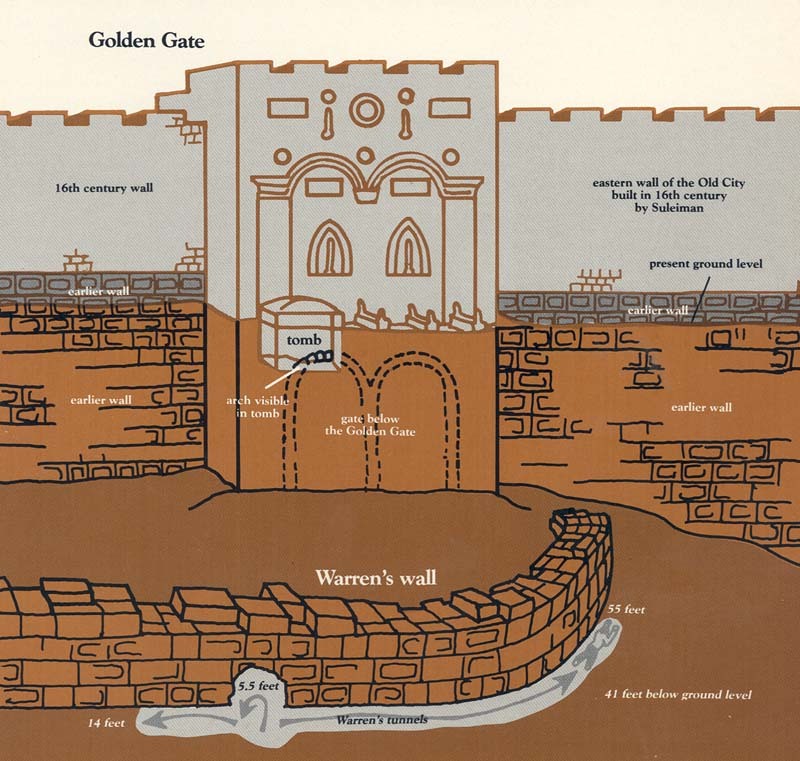 Unlike most of Jerusalem's other gates, the Golden Gate was originally built at least a millennium before Suleiman the Magnificent rebuilt the walls of Jerusalem in 1540. 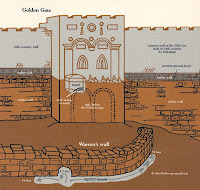 Indeed, some archeologists believe that the original gate, dating back to Herod's construction or even Nehemiah's period (440 BCE), still exists beneath the current gate. 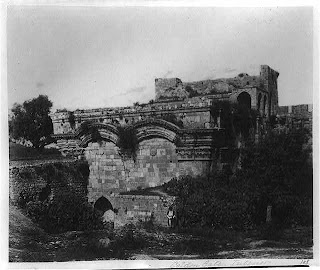 Perhaps because of the great religious significance of the gate to Jews and Christians as the Messiah's route into Jerusalem, it is believed Suleiman sealed the gate and permitted the construction of a Muslim cemetery in front of the gate. 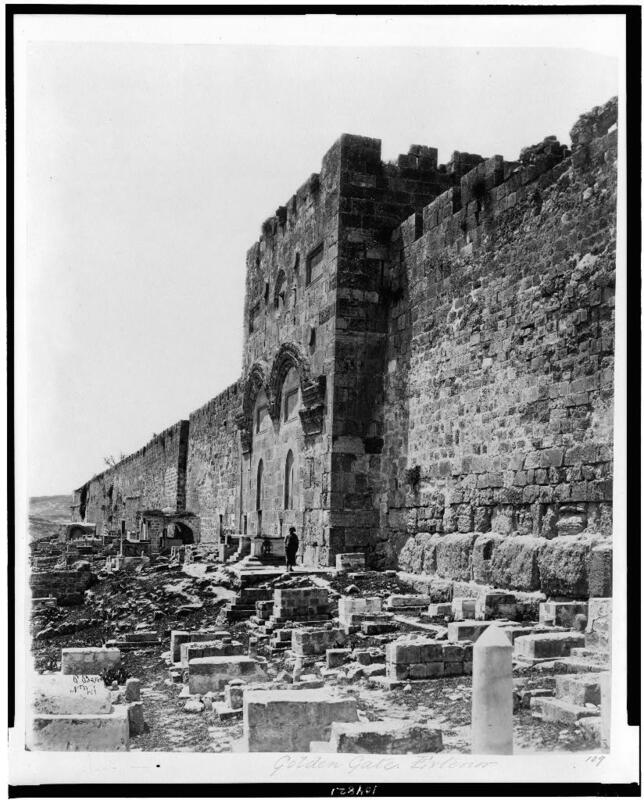 The theory of an ancient gate received support in 1969 when an archeological student named James Fleming was inspecting the current gate. Suddenly the rain-soaked ground beneath him opened and he found himself in a pit of bones looking at the top of another gate eight feet beneath the surface. Fleming photographed his discovery. 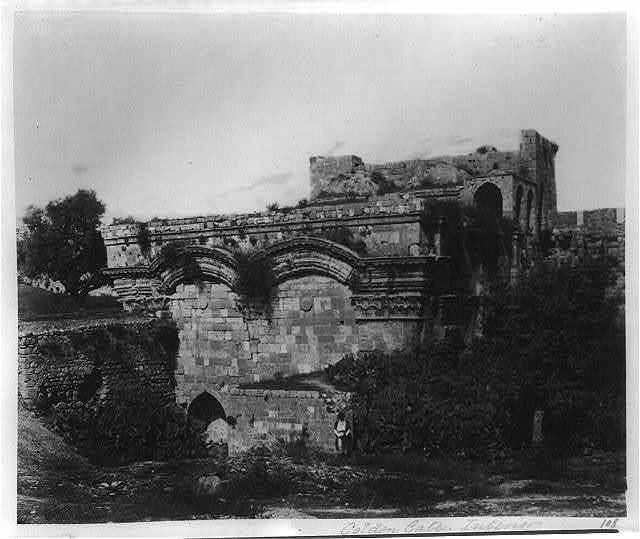 When he returned the next day, the tomb had been sealed with a cement slab by the Islamic custodians of the cemetery. See previous photo essays on the Zion Gate, Damascus Gate, and Lions Gate.